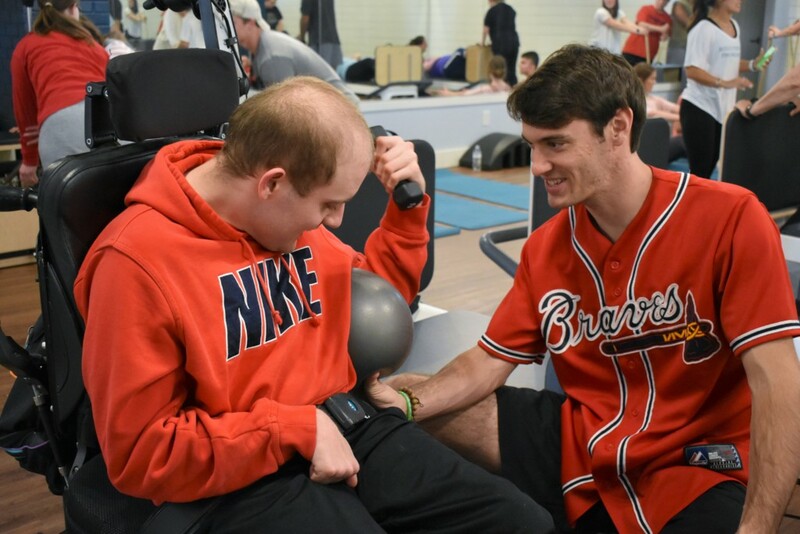 Pumping Iron with Extra Fitness • Extra Special People, Inc.
We’ve all heard it before; exercise is essential for a healthy life. 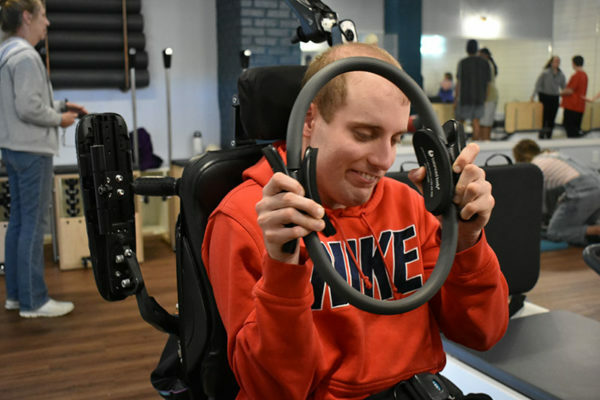 While meeting those healthy standards can be difficult for anyone, it’s especially complicated for people in the disability community. Unfortunately, obesity rates for adults with disabilities are 58% higher than for adults without disabilities. 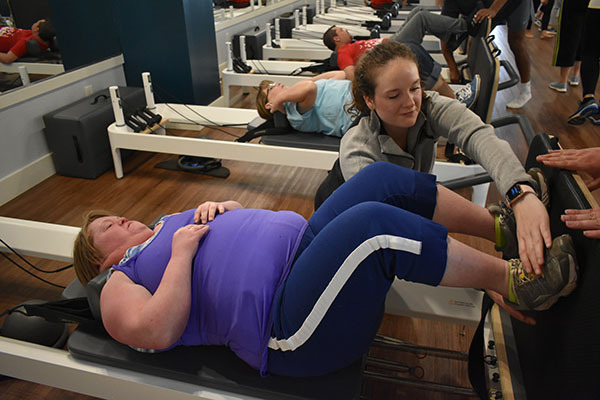 There are a lot of reasons for this: physical limitations, pain, medications, lack of energy, lack of accessibility in gyms, and an overall lack of resources. It’s something that ESP noticed in our little corner of the world as well. 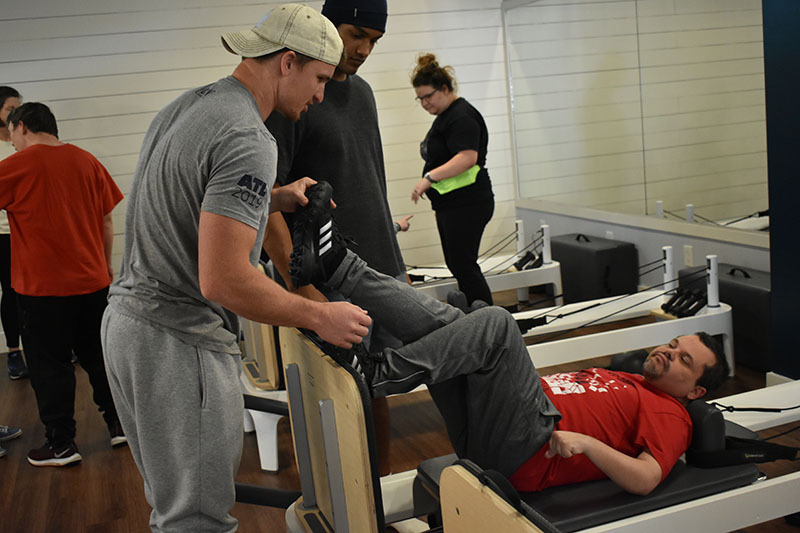 That is why Extra Fitness was created; a class that gives adults the opportunity to gain a deeper knowledge of exercise and set realistic fitness goals. The class typically consists of two workouts a week. 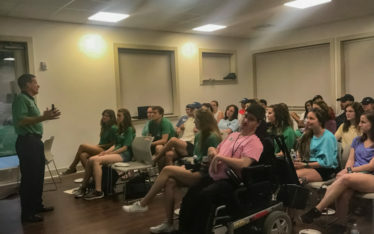 The Tuesday session, “Boot Camp with Jonah,” takes place at the ESP activity building and focuses on building strength, coordination, and balance in the athletes. On Thursdays, athletes buckle up and travel to different facilities across Athens. 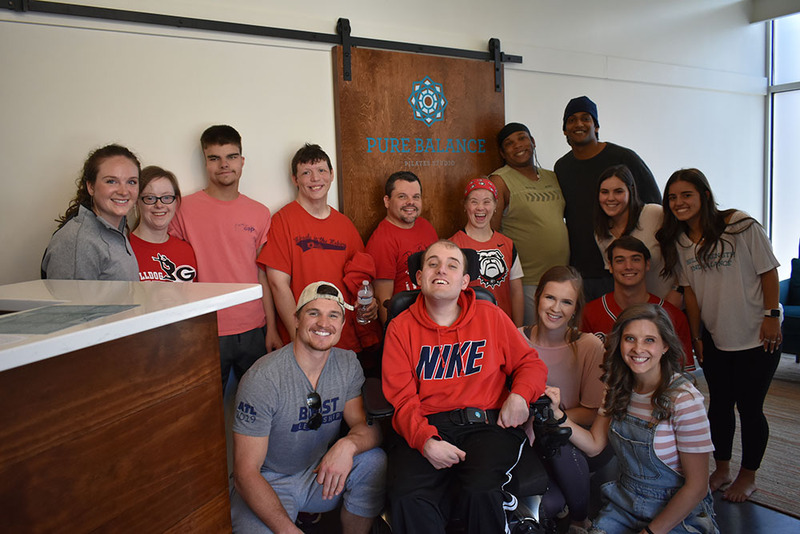 To empower athletes to take their health into their own hands, Jonah made connections with fitness centers like Pure Balance Pilates, Athens Fit Body Bootcamp, and Shakti Yoga to provide a well-rounded experience. These lessons with professionals in different areas of the health and fitness industry expose athletes to millions of ways to fall in love with exercise and find their perfect fit. 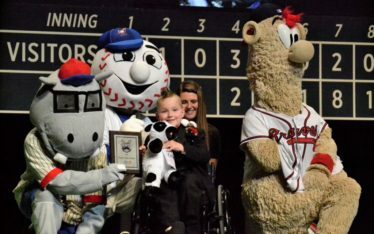 The visits are important to inspiring the athletes, as well as contributing to the program’s larger goals. 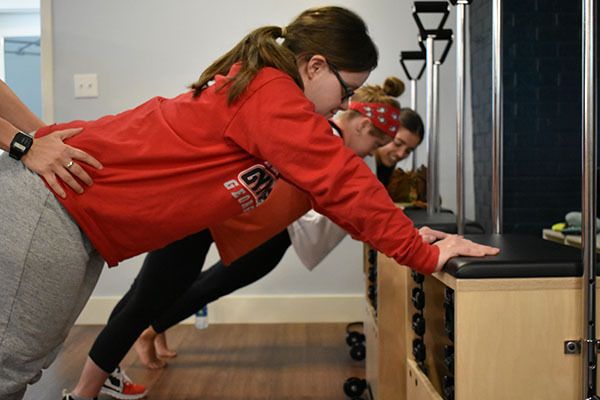 The mission of Extra Fitness is to instill a lifestyle change in athletes; a vision that does not come easily until you teach others the importance of engaging in daily exercise. At the end of Extra Fitness’ first year, Jonah has acquired nearly 20 athletes on his roster. In just a few weeks those athletes are seeing amazing results both physically and in their attitudes toward exercise. Nathan, an ESParticipant and Java Joy barista, has lost 26 lbs. since starting Extra Fitness. Rocky (above) has the rare opportunity to work out both of his legs where he does not naturally while walking. And Adam (below) tests his motor skills and flexibility in gyms across town. 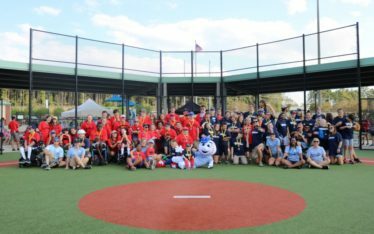 The next steps for Extra Fitness include partnering with even more fitness facilities and adding to the growing list of athletes. Any ESP participant over 18 can join the class at any time by emailing Jonah Guinn at jonah@extraspecialpeople.com.